Oct 20, 1818 – it was agreed that the 49th parallel forms as border between US & Canada; Nov 21, 1818 – Russia’s Czar Alexander I petitioned for a Jewish state in Palestine; Dec 24, 1818 – “Silent Night” was composed by Franz Joseph Gruber and first sung the next day (in Austria;) Dec 25, 1818 – Handel’s Messiah, premiered in the US in Boston. January 2, 1819 – The Panic of 1819, the first major financial crisis in the United States, began; January 25, 1819 – Thomas Jefferson founded the University of Virginia; February 22, 1819 – Spain ceded Florida to the United States. May 22, 1819 – SS Savannah left port at Savannah, Georgia on a voyage to become the first steamship to cross the Atlantic Ocean, she arrived at Liverpool, England, on June 20; August 7, 1819 – Battle of Boyacá: Simón Bolívar was victorious over the Royalist Army in Colombia. Colombia acquired its definitive independence from Spanish monarchy. To set a foundation, we are reminded that in 1782 Kamehameha I began a war of conquest, and, by 1795, with his superior use of modern weapons and western advisors, he subdued all other chiefdoms, with the exception of Kaua‘i. King Kamehameha I launched two invasion attempts on Kaua‘i (1796 and 1804;) both failed. In 1804, King Kamehameha I moved his capital from Lāhainā, Maui to Honolulu, O‘ahu. In the face of the threat of a further invasion, in 1810, Kaumuali‘i decided to peacefully unite with Kamehameha and ceded Kauaʻi and Ni‘ihau to Kamehameha and the Hawaiian Islands were unified under a single leader. The agreement with Kaumuali‘i marked the end of war and thoughts of war across the archipelago. Later, Kamehameha returned to his home, Kamakahonu, in Kailua-Kona on the Island of Hawaiʻi. Later, in April of 1819, Don Francisco de Paula Marin was summoned to the Big Island of Hawai‘i to assist Kamehameha, who had become ill. Although he had no formal medical training, Marin had some basic medical knowledge, but was not able to improve the condition of Kamehameha. On May 8, 1819, King Kamehameha I died. Kaluaokalani, Liholiho’s cousin, opposed the abolition of the kapu system and assumed the responsibility of leading those who opposed its abolition. 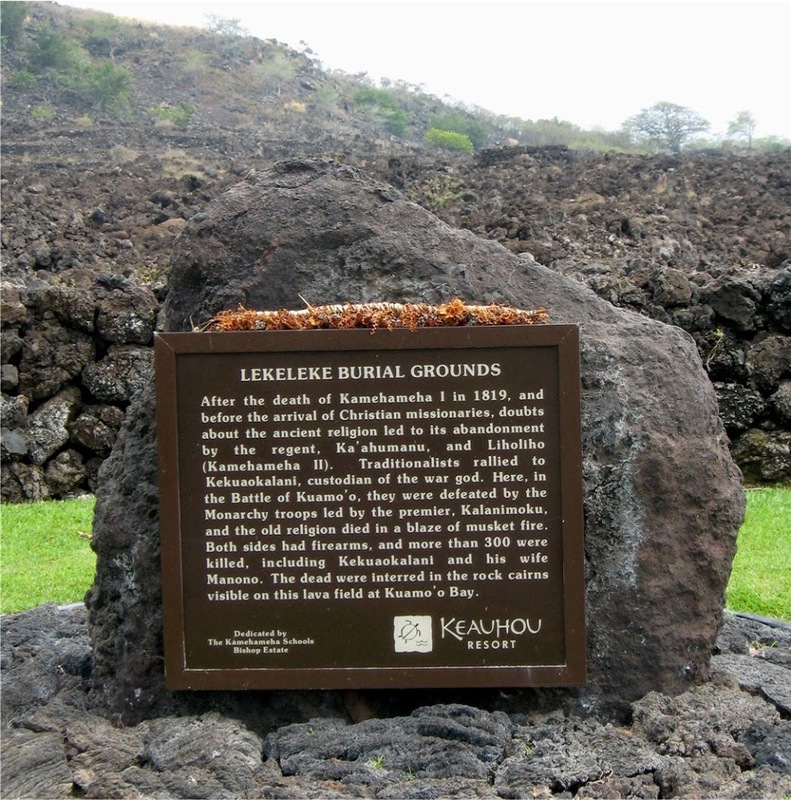 Kekuaokalani (who was given Kūkaʻilimoku (the war god) before his death) demanded that Liholiho withdraw his edict on abolition of the kapu system. (If the kapu fell, the war god would lose its potency.) (Daws) The two powerful cousins engaged at the final Hawaiian battle of Kuamoʻo; Liholiho’s forces defeated Kekuaokalani.. 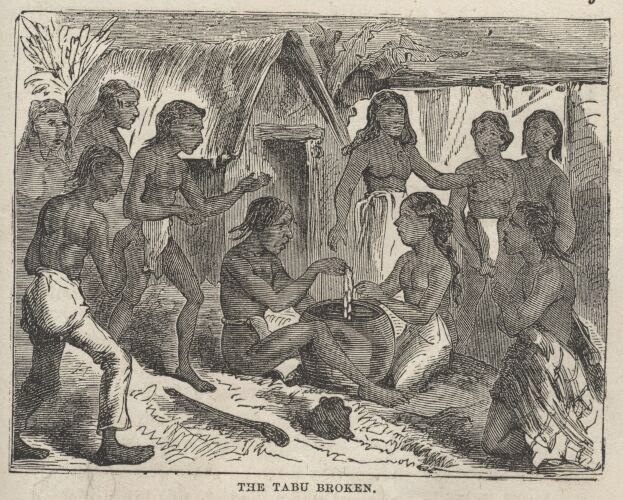 The image shows Liholiho eating with women (Mark Twain-Roughing It.) In addition, I have added other related images in a folder of like name in the Photos section on my Facebook and Google+ pages. Following the death of Kamehameha I in 1819, King Kamehameha II (Liholiho) declared an end to the kapu system. In a dramatic and highly symbolic event, Kamehameha II ate and drank with women, thereby breaking the important eating kapu. This changed the course of the Hawaiian civilization and ended the kapu system (and the ancient organized religion), effectively weakened belief in the power of the gods and the inevitability of divine punishment for those who opposed them, and made for the transformation. Forty years had passed since the death of Captain Cook at Kealakekua Bay, during which time the kapu system was breaking down; social behavior was changing rapidly and western actions clearly were immune to the ancient Hawaiian kapu (tabus). Kamehameha II sent word to the island districts, and to the other islands, that the numerous heiau and their images of the gods be destroyed. Kekuaokalani (Liholiho’s cousin) and his wife Manono opposed the abolition of the kapu system and assumed the responsibility of leading those who opposed its abolition. These included priests, some courtiers and the traditional territorial chiefs of the middle rank. Kekuaokalani demanded that Liholiho withdraw his edict on abolition of the kapu system. Kamehameha II refused. Keōpūolani (Liholiho’s mother,) ali‘i kapu (sacred chief), confronted Kekuaokalani. She tried to negotiate with him so as to prevent a battle that could end with her son’s losing the kingdom. 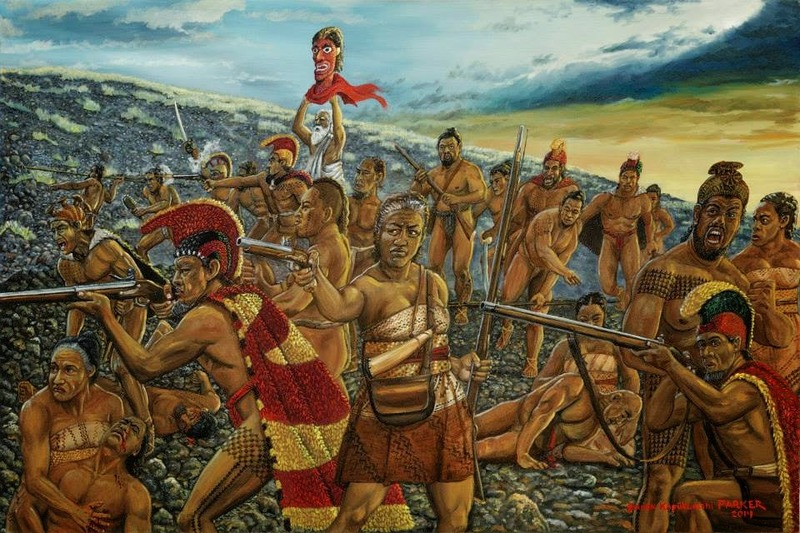 The two powerful cousins engaged at the battle of Kuamo‘o. The royal army, led by Kalanimōkū, numbered by nearly fifteen-hundred warriors, some of them bearing firearms. Kekuaokalani had fewer men and even fewer weapons than the king’s better-armed forces. 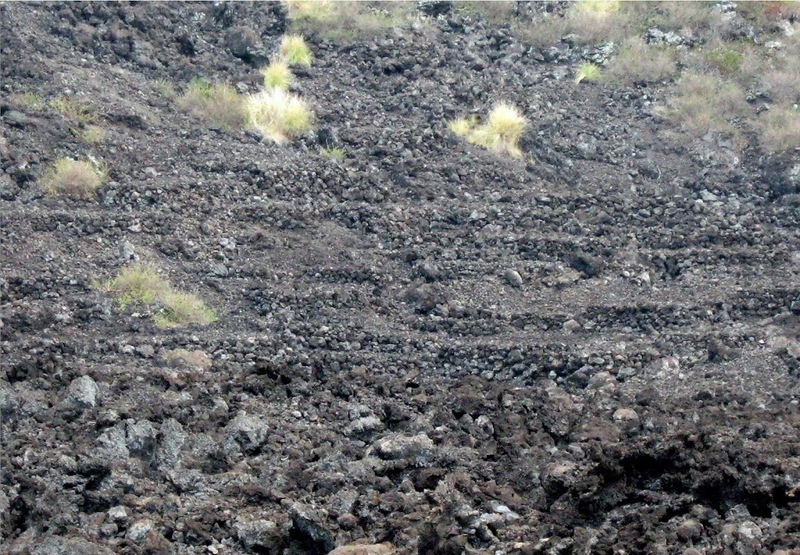 The image shows the burial mounds at Lekeleke, the result of the Battle of Kuamo‘o. The site has been restored by Keauhou Resort. In addition, I have included other related images in a folder of like name in the Photos section on my Facebook and Google+ pages.